With the invention of the light bulb, the lighting industry became synonymous with innovation. Many advancements have been made since then, most born out of necessity. As efficiency and sustainability remain top priorities for industrial facilities — even during emergencies — the industry must continue to innovate in ways that meet customer demands. Power plants have emergency backup systems in place to ensure no disruption of critical functions. When high-voltage batteries are used to power the emergency lighting for these backup systems, incandescents are the go-to bulbs because they can operate at the higher VDC voltages required, where LEDs cannot. As you are well aware, whenever efficiency is a concern, incandescents are not the answer. To provide mission-critical backup lighting without wasting energy, VCC designed a versatile LED lamp despite a host of design and technical constraints. For one large power plant, versatility was no longer an option when it came to input. 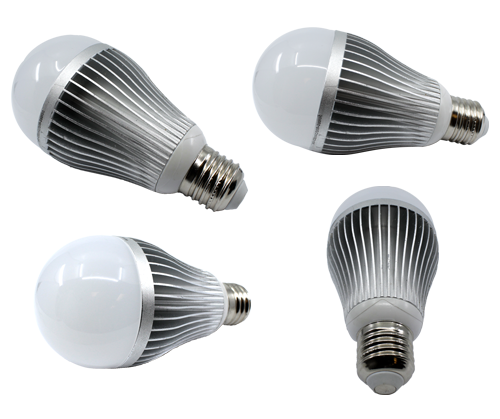 The client approached VCC with requirements for an LED bulb that could handle voltage fluctuations from 105 through 280 VDC and 110 to 130 VAC. VCC developed an LED driver that could handle the wide range of AC and DC voltages. But that was just the beginning. Any time a fixture is enclosed, temperature and humidity are a challenge — there is no outside air to help cool down any increase in temperature created by operation of the internal components. 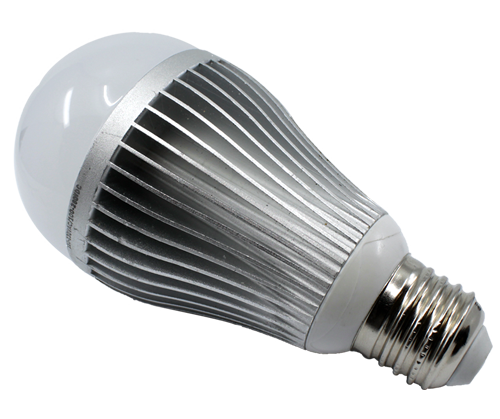 To address this problem, VCC’s team designed a bulb with a distinct aluminum housing. While the lamp has a sleek, industrial look, it actually serves an important purpose. The large aluminum body is a heat sink that absorbs and disperses the heat. Additional design details that add up to protection from overheating include temperature sensing and fold-back circuitry. Because the bulb needed to retrofit an existing design, the lamp base and shape were all predetermined. Factor in the limited amount of space within the jelly jar fixture itself, and the correct sizing of the circuitry and LED driver were more crucial (and limited) than ever. On the flip side, the standard E26 base and A21 shape would make actually doing the retrofitting as incandescent bulbs burn out a snap at the power plant. FCC Title 47, part 15 – the Federal Communications Commission (FCC) requires all electronic devices to be verified or tested for the intentional or unintentional radiator of radio frequency energy. In this case, we overcame widely accepted technical limitations to create an ideal — and truly unique — solution. But we aren’t through delivering breakthrough technology just yet. Contact us to discover how VCC can push the limits of what’s possible for your next project. Our client couldn’t be happier, having retrofitted its 100W and 200W incandescents with reliable 9W AC/DC LEDs, which use a fraction of the energy. In this case, we overcame widely accepted technical limitations to create an ideal — and truly unique — solution. But we aren’t through delivering breakthrough technology just yet.